Vigorous upright shrub or small tree. Large, oval deep green leaves. 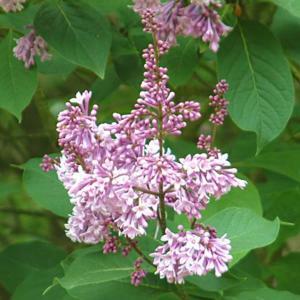 Panicles of fragrant, lilac-purple flowers in early summer. Any reasonable, moist, fertile soil in sun or light part shade. Very cold hardy. Can be pruned after flowering if required. May also be cut back hard in winter to rejuvenate, though with loss of flowering.